It’s tough to find common ground in today’s political atmosphere. Bridge Magazine and The Center for Michigan spent 2017 chronicling the lives of Michigan voters across the political spectrum. From the Upper Peninsula, to Lansing, to Flint, Grand Rapids and Jackson, the resulting documentary captures our deeply divided culture, the impact of those divisions, and the search for common ground on policies that will help all of Michigan move forward. The film, directed by Al Lilly, premiered in March and has been shown across Michigan. The documentary will be shown at 7 p.m. Thursday, Oct. 25 at the Detroit Institute of the Art’s Detroit Film Theatre, 5200 Woodward Ave. Tickets are free, but it’s recommended you reserve seats. “Michigan Divided” also will be shown on the campus of the University of Michigan at 6 p.m. on Tuesday, Oct. 30, at the Annenberg Auditorium in Weill Hall, home of the Ford School of Public Policy, 735 S. State St. Admission is free, and registration is available here. 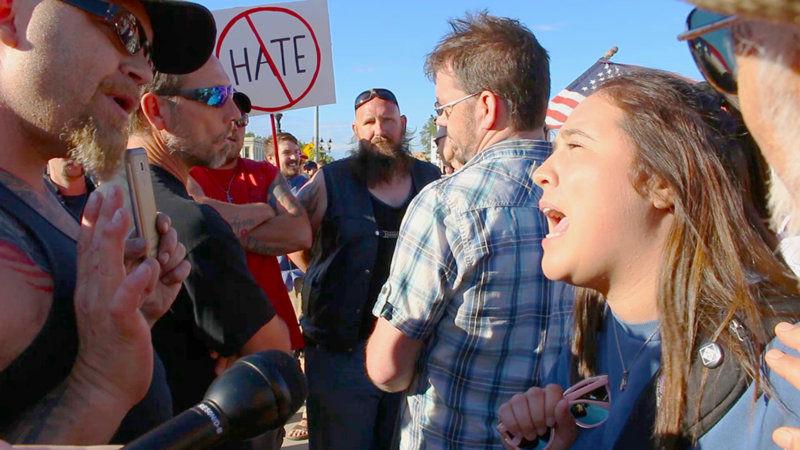 Following the 48-minute documentary at both showings, there will be a guided 30-minute conversation that gives participants the opportunity to discuss the political divide, and explore ways you can help your community be more unified. For those who cannot make it out to the events at the Detroit Institute of Arts or University of Michigan, we have streamed the documentary online on Facebook Live. Below is the live stream from August, leading up to the primary. We will look to have more online town halls leading up to the general election. So why hasn't this been posted to YouTube where it can do some good? Showing it at a single theater means a limited number of people see it and it does very little good. I am interested in seeing this before the elections. I am not interested in driving to Detroit to see it. We have streamed it on Facebook Live. I've updated this post with the embed code of the stream, so please reload this post. The movie is the same, but the comments are a few months old. For those who can come out, we encourage you to do so for the town hall conversation surrounding the movie. Why doesn't Bridge stream it on line? Most of us do not live in either metro Detroit or Ann Arbor. We have streamed it in the past, but will look to add more live town halls leading up to the election. In the meantime, I've embedded one of the streams leading up to the August primary. I too wish I could get this on YouTube. Please consider video taping one of these presentations and posting it for all of us. I've embedded a stream from a previous online live event. Please refresh this story. We'll look for more dates to do live events leading up to the general election. Excellent job of sampling the populous of Michigan. The honest and open responses are exactly what I see and hear every day. The confidential voting booth allows for personal "truth" to determine political results... not always what we might expect, given biased (and purchased) news reporting. The news "shapers " on CNN and FOX news need to be fleshed out and seen. A direct, 60 minutes type interview with these shapers of views would be entertaining. Cnn is not a shaper but journalism. Though they are accused of shaping due to one person who has a documented problem with honesty.